I’ve told this story a million times: when I was young, my father kept me off the streets and saved much needed money buying me the toys I wanted by getting me a library card and teaching me to walk to the Franklin Avenue library, and there began my love of books and stories. What I’ve written less about is the books I gravitated towards: books about mythological monsters, Greek gods and heroes, King Arthur and the Knights of the Round Table, Lord of the Rings, my older sister’s Elfquest collection and X-Men comic books. And the secret of many a nerd of color from the ‘hood: my lifelong devotion with role playing games such as Dungeons and Dragons, and Vampire: the Masquerade. Making vampire fixations embarrassing long before Stephanie Meyer. Although I had friends in and out of the neighborhood who were also nerds, it definitely wasn’t typical. I remember one of my fellow nerds of color inviting me to a Rifts game in a tough tone of voice as if he was initiating me into a gang, all the while looking around nervously as if his street cred would be in serious jeopardy if anyone overheard him talking about how much MDC a Glitterboy had. Nowadays of course, being a nerd can mean big money. Everything from Tolkien to comic books to video games is finding its way into mainstream America’s fast food blood stream. Along with it seems to be the rebellious streak that goes along with being the kid who gets picked on for knowing how to write in Tolkien’s Dwarven — a certain righteousness about being the odd person out, the strange smug martyrdom that comes from knowing that painting miniatures and possessing a dice bag marked you as being a freak and an outsider. But then how do Nerds of Color like me fit in, and how do we deal with fellow nerds who don’t want to talk about things like race and class in comic books, video games, role playing games, and movies? I’ll be the first to admit, I got into all of that stuff for the escapism it allowed. It was invaluable to me, as a refugee from a war growing up in an economically poor urban area, to fantasize that I was someone else, somewhere else. I’d rather be a paladin with a war horse riding to battle a chimera than be the Vietnamese ghetto refugee nerd running from the dudes on my block who tried to jump me on my way to and from CUHCC clinic to get my teeth cleaned. However, there was a discomfort about some of my own internalized issues. I always chose to ignore the weird feeling I got when I realized that, in my dreams, I was always, literally, a white knight. When I dreamt I was a superhero, I was a white dude with superpowers and the Mary Jane to my Peter Parker was always white. Even though I had a nagging feeling about it, I thought I was justified in my dreams because, hey, none of King Arthur’s knights were Asian and therefore my dreams wouldn’t be real if I dreamt otherwise. 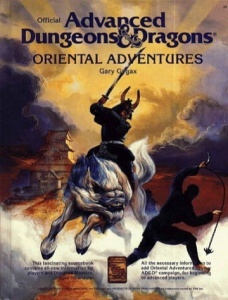 And I never really cared for the Oriental Adventures rule book for Advanced Dungeons and Dragons. As I got older, I wondered more and more about certain things: like, why Wolverine seemed to have an Asian fetish — an uncomfortable feeling I carried with me a long time before finally seeing it manifested on the large screen with this year’s Hollywood Wolverine movie set in Japan. I wondered why the only Asian men in the nerd worlds seemed to be the bad guys or some servant like Doctor Strange’s assistant Wong. I wondered why the only Asians in comic books, movies, and video games seemed to be “exotic” Asian women, dragon ladies, or trophy girlfriends. Peter Parker was cool because he always struggled with a day job in addition to being a costumed hero — but many of the other characters like Batman and, er, Iron Fist, were privileged wealthy white dudes who learned martial arts from Asians and whom, of course, thereby became greater at martial arts than the Asians themselves (see also: The Last Samurai, The Forbidden Kingdom, and more recently, Avatar). Nowadays, things are not that much better. The recent Battlestar Gallactica show was a massive hit, and yet I couldn’t help noticing how Grace Park’s character seemed like a sci-fi stand-in for Miss Saigon, and despite my skepticism stuck with the series through its entire run and watched in horror as the show literally and figuratively dumped almost all of their characters of color out of an airlock by the time the show ended. I dug Firefly a lot, but was annoyed that Whedon predictably relegated Asian culture to a neo-Yellow Peril future where the extent of China emerging as a superpower means that people throw in a couple of badly pronounced Mandarin words into their everyday conversations, and despite the idea of this looming Asian culture, there are no actual Asian characters to be seen. And though many have written about Pacific Rim’s cool Asian female character, the two supporting Asian male characters are played by non-Asians — odd for a film set in the Pacific Rim about giant monsters and robots — and the few secondary Asian males are mostly nameless, don’t have speaking lines, and die first. None of this was easy for me personally, because I had to confront my own internalized racism. There was a part of me that said, no, don’t ask these questions. It’d be easier to just go with the flow. Don’t rock the boat. No one cares about this stuff. Do you really want to challenge yourself about how you want to be white? You’re a man of color from Phillips — are you really ready to out yourself as a self-hating nerd? And you’d think that fellow nerds, regardless of race and gender, would understand given that our status as freaks and geeks and outcasts would give us some humility and common ground to stand on. Unfortunately, this is not often the case. Try bringing up issues of race, class, gender, and homophobia on a video game message board and see the vitriolic response you get, no matter how diplomatic you try to be. Jennifer Hepler recently quitting Bioware after horrendous cyberbullying over gender and sexuality issues is just one high profile example of this. Bring up issues of representation and race to fans of Battlestar and Firefly and get told that you’re a killjoy or one of the “PC police” who doesn’t understand what their favorite show is trying to do. Bring up the relative absence of Asian men in American pop culture and people invariably bring up Bruce Lee — without acknowledging the fact that he was passed over for the television show he created, Kung Fu, for a white actor, and had to go to Hong Kong to find success. 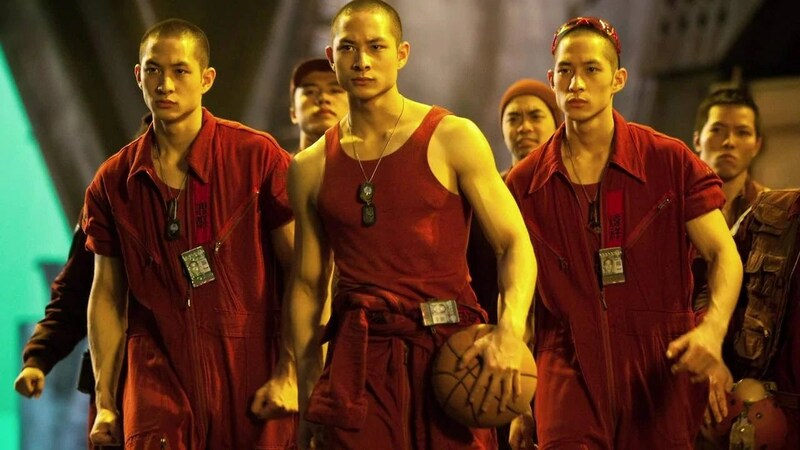 Point out that The Last Airbender has an almost all-white cast and people will say, since they’re animated and fictional, they’re not supposed to be Asian — while ignoring that, even when the characters are supposed to be Asian, Hollywood makes them white anyway (see the movie 21, based on a true story where almost all of the real life people involved were Asian Americans, or if you need to stay with nerd references, see Bulletproof Monk, where the Asian American character in the comic is replaced by a white guy). I welcome reasonable debate and discussion, even with people who don’t agree with me. However, race still touches a deep nerve in the majority of Americans, and the denial of it — this idea that race is no longer a relevant issue — makes it even worse. It’s hard to have an intelligent discussion when people can just reactively respond by saying things like “my best friend/girlfriend is Asian and doesn’t think that’s racist so you’re wrong.” And being a nerd as well as a person of color, I understand being defensive. You always feel like someone is going to make fun of something you hold sacred. But at what point do you learn from that experience, of being the odd one out, and realize that you may be doing that to someone else — based on their race, or gender, or with whom they decide to partner with? At what point do you empathize rather than silence? Sometimes it does get to be too much. Sometimes I wish I could be that kid in Phillips again, with a bath towel tied around my shoulders waving a flashlight around in the dark, pretending I was a Jedi, pretending that race doesn’t matter. It’s easier that way. You’re not going to be popular to anyone by saying that racism exists, even less so when you point out that it exists in almost everything that we love. But race, and all of these things, they do matter. In my dreams and in my life, they do. They shape who I am and how I treat other people. They influence how I see the world and how I work. Facing my own internalized hatred was one of the most difficult, and terrible, things I have ever done in my life. It was ugly and sad and hurt not just me but people I cared deeply about. There was nothing romantic or noble about it, but it was necessary. And it’s not like I have any particular cause to be righteous. 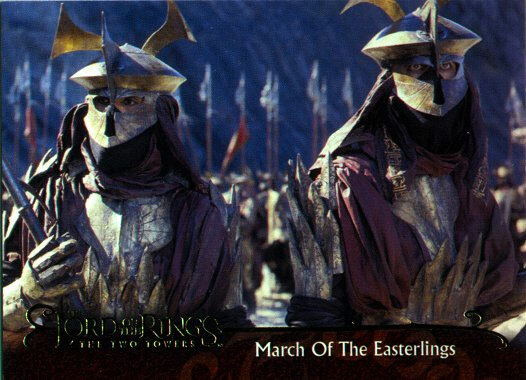 As much as I was critical of the way brown people were portrayed in the Lord of the Rings trilogy and Lost, The Walking Dead and all of the Star Wars films, I am still a big fan of those franchises. I am not without my own contradictions, my own questions. But I think applying a critical mind to the things we like and love is necessary. I wrote and posted the first version of this essay back in 2010, during my lunch break, and to my surprise it traveled a long way around the web and was read by far more people than I expected. A lot of people wrote me to tell me how much it meant to them, and it connected me to a lot of nerds of color, GLBT nerds, and progressive nerds from all over. Many people shared stories, laughs, and strategies for struggle. It was amazing, that feeling of connection long missing — thanks to all who shared it and engaged with me constructively. When it comes down to it, having these discussions is necessary, even if those of us who choose to confront it and speak against it are one against a thousand voices shouting us down. As nerds, as people of color, we are used to insurmountable odds. We’re used to doing what we think is right and standing up for what we believe in, even when it’s not popular and endangers our lives. Isn’t that what being a nerd is all about?